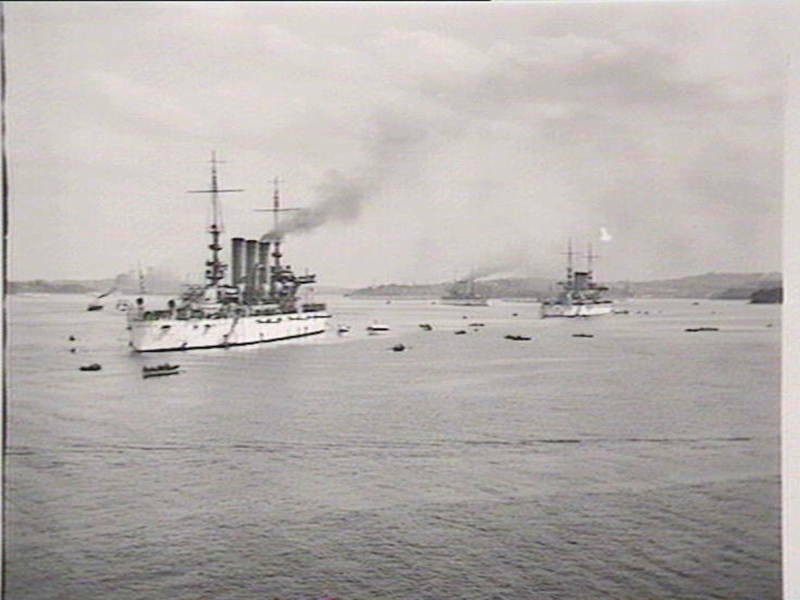 On this day, 20th August 1908, the ‘Great White Fleet’ arrived in Sydney Harbour. The 'Great White Fleet’, consisted of 16 new battleships of the Atlantic Fleet, was sent around the world by US President Theodore Roosevelt. Launched on 16 December 1907, it travelled down the eastern coast of America, around the southern cape and back up the western coast, as the Panama Canal had not yet been completed. There were many celebrations and decorations in Sydney, depicted in photographs in the collections of the State Library of New South Wales. 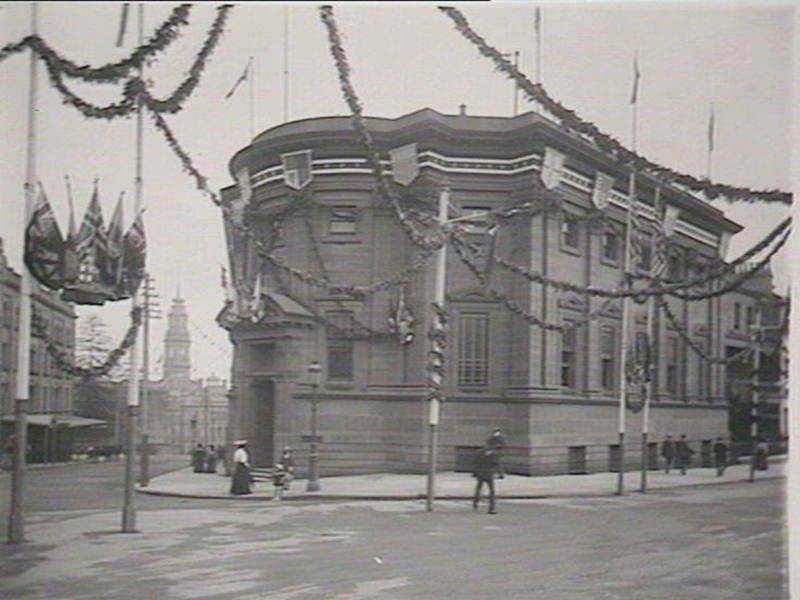 The photograph shows the previous Public Library of New South Wales building (prior to the opening of the Mitchell Library in 1910).